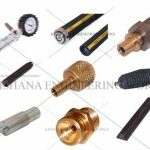 Krishna Engineering Works is a company engaged in Manufacturing, Exporting & Supplying of Air Shafts like Mechanical Shaft, Quick Lock Shafts, Multi Tube Shafts, Air Expandable Shaft; Air Chucks, Quick Lock, Safety Chucks from Ahmedabad, Gujarat, India.We are winner of 3 times National Award and 2 times International Award for Quality manufacturing. we are engaged in Manufacturing, Exporting & Supplying of Air Shafts like Mechanical Shaft, Quick Lock Shafts, Multi Tube Shafts and, Air Expandable Shaft from Ahmedabad, Gujarat, India.We are winner of 3 times National Award and 2 times International Award for Quality manufacturing. 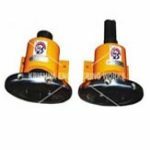 we are engaged in Manufacturing, Exporting & Supplying of Air Chucks from Ahmedabad, Gujarat, India.We are winner of 3 times National Award and 2 times International Award for Quality manufacturing. We also engaged in Manufacturing ,Exporting & Supplying Of Air Shafts like Mechanical Shaft, Quick Lock Shafts, Multi Tube Shafts and, Air Expandable Shaft; Air Chucks, Quick Lock, Safety Chucks and, Spare Parts. we are engaged in Manufacturing, Exporting & Supplying of Quick Lock from Ahmedabad, Gujarat, India.We are winner of 3 times National Award and 2 times International Award for Quality manufacturing. 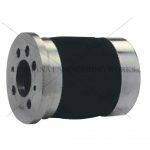 We also engaged in Manufacturing ,Exporting & Supplying Of Air Shafts like Mechanical Shaft, Quick Lock Shafts, Multi Tube Shafts and, Air Expandable Shaft; Air Chucks, Safety Chucks and, Spare Parts. we are engaged in Manufacturing, Exporting & Supplying of Safety from Ahmedabad, Gujarat, India.We are winner of 3 times National Award and 2 times International Award for Quality manufacturing. We also engaged in Manufacturing ,Exporting & Supplying Of Air Shafts like Mechanical Shaft, Quick Lock Shafts, Multi Tube Shafts and, Air Expandable Shaft; Air Chucks, Quick Lock and, Spare Parts. we are engaged in Manufacturing, Exporting & Supplying of Spare Parts Of Air Shaft. from Ahmedabad, Gujarat, India.We are winner of 3 times National Award and 2 times International Award for Quality manufacturing. 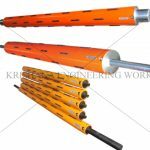 We also engaged in Manufacturing, Exporting & Supplying Of Air Shafts like Mechanical Shaft, Quick Lock Shafts, Multi Tube Shafts and, Air Expandable Shaft; Air Chucks, Quick Lock.